A division of the Alabama Department of Rehabilitation Services, Early Intervention provides supports and services for infants and toddlers birth though age 2 (0 to 36 months of age) who have a medical diagnosis that can delay normal development or who have a developmental delay causing the child to not meet developmental milestones. Early intervention supports and services focus on teaching the parents and other caregivers ways to help the child learn and participate in everyday activities. If you are concerned about your child's development, call the statewide, toll-free Early Intervention Child Find number, 1-800-543-3098 (or TTY 800-499-1816). Spanish-speaking families may call 1-866-450-2838. Easter Seals provides exceptional services to ensure that all people with disabilities have equal opportunities to live, learn, work and play. This program offers certain home and community based services. These services are available for a limited number of eligible individuals with developmental disabilities. It can take years after you apply to obtain this service. You must qualify and be placed on a waiting list for a slot to open. These services include: case management, crisis abatement, residential habilitation, consultation services, specialized medical supplies (not paid for by insurance), physical adaption services, and extended prescription services. It is recommended you begin this application process early to be placed on a waiting list after eligibility is determined. The Alabama Medicaid Agency (AMA) is a state/federal program that pays for medical and long-term care services for low-income pregnant women, children, certain people on Medicare, disabled individuals and nursing home residents. The individuals must meet certain income and other requirements. Research programs focus on the mechanisms, diagnosis, and treatment of both rare and common genetic disorders as well as bioinformatics and systems biology. B.U.D.S. 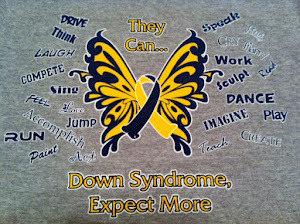 is a non-profit organization that was started in 2003 that benefits anyone in North Alabama that is impacted by Down syndrome.